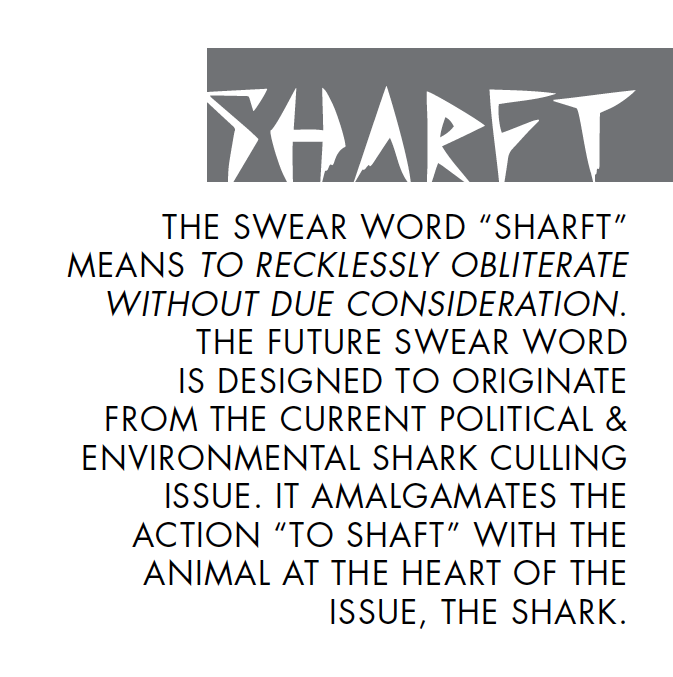 Sharft is a fictional swear-word created to explore the political and environmental shark-culling issue in Western Australia. "Sharft" means "To recklessly obliterate without due consideration" by amalgamating the action "to shaft" with the animal at the heart of the issue, the shark. The complementary typeface "Sharft" was developed to give visual meaning to the topic.